Cat cafes are making news the world over. No, they’re not for cats that love a macchiato – rather, they are enclaves for cat lovers to cuddle kitties whilst sipping lattes that are popping up in major cities internationally. The first cat café opened in Taipei, Taiwan, in 1998 and became popular with locals and Japanese tourists in the area. In 2004, Osaka became home to Japan’s first cat café and subsequently many more opened in cities throughout the country. 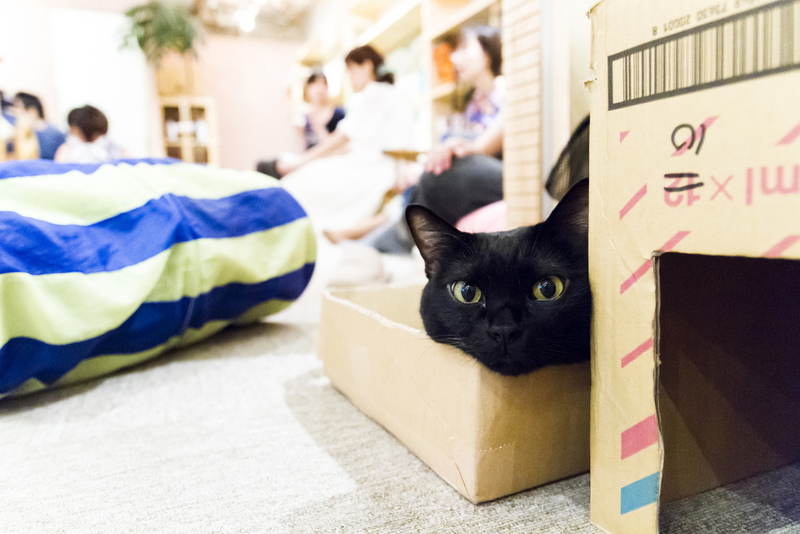 Tokyo alone now has 39 cat café’s in operation. The cafes’ popularity is largely attributed to landlords frowning upon the keeping of pets. Cat cafes allow people who might not otherwise be able to enjoy animal companionship to essentially ‘rent-a-pet’. Some cafes specialise in housing particular kinds of cats such as black cats, fat cats, rare breeds or re-homed strays. The cat café trend has been spreading. Cafes are now selling coffees amongst kittens in France, Hungary, Germany and Spain and even Melbourne, Australia! Last week the first cat café in the United States opened its doors in New York City. Sponsored by Purina ONE and the North Shore Animal League, it will operate for a limited time to raise awareness to the plight of homeless cats and open discussion about cat health. It has been so popular visitors can expect a 5-hour wait in the line to get inside. The cats purring in the arms of excited New Yorkers are all rescues looking for new homes. Through the café, five of the sixteen have already found forever homes. Those worried about cats being used for ‘entertainment’ need not fret. Cat cafes are required to obey strict animal welfare and cleanliness laws. It is their duty to ensure cats are not overly pestered by enthusiastic adults or children and receive adequate rest periods.